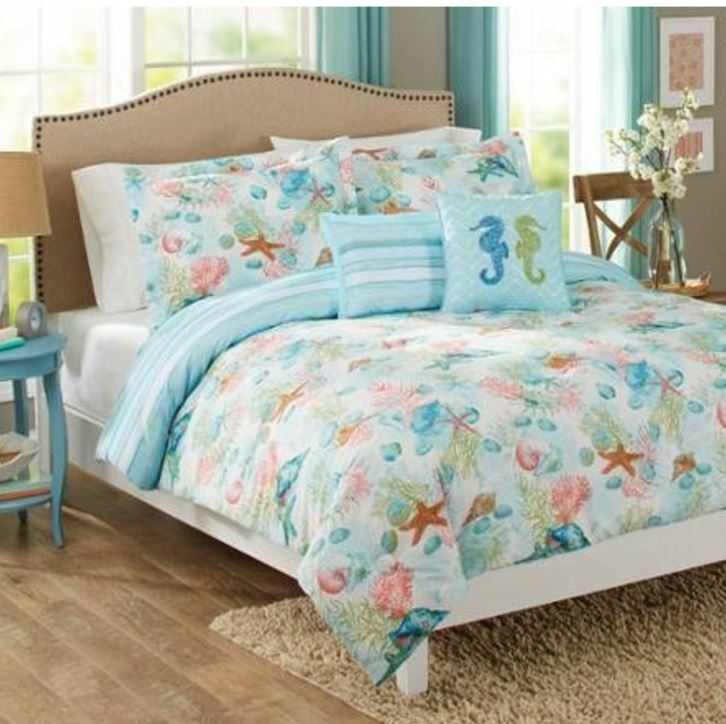 This beach day comforter is bright and fun! The pastel colored pattern is loaded with coral, shells, and starfish. 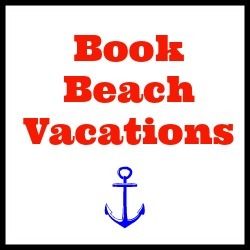 The opposite reversible side has horizontal beach stripe in similar colors.